This event invites those looking after places of worship to explore how to unlock the potential of their building, and to engage their communities with its architecture and its history. Hosted by the National Churches Trust and St Clement’s Church and with a range of contributing practitioners and organisations, the event will allow you to learn from the experience of your hosts and introduce you to practical approaches to take back to your own places. Working alongside our Open University colleagues, and representing the Empowering Design Practices research project, we will run a hands-on session exploring the role of design in the qualities of a place of worship, and how design influences how we use and interact with the building and spaces around it. 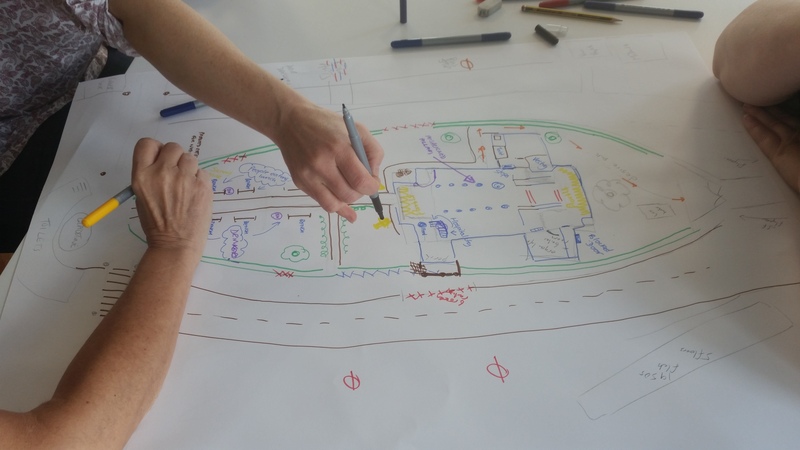 The workshop will offer some practical ideas and tools to help you use design to create more open and sustainable buildings, and how to engage your local community in the process. In a range of practical sessions led by heritage professionals, we will consider what heritage is and why it is important. You will get tips on writing about your church’s heritage in the context of funding bids and Statements of Significance, and learn about promoting your church’s heritage through social media and the World Wide Web. You will also have the opportunity to learn how St Clement’s Church has been adapted to allow new community activities to take place whilst preserving its historical significance. Other training and resources on planning and fundraising for your project will also be available, and the event will of course be a valuable opportunity to share ideas and gain inspiration from others.